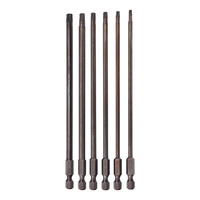 Premium quality power bits, made from A2 steel for extra long life / durability. A2 steel is a higher quality / harder steel than is commonly used in insert bits. Ajax A2 steel bits are also magnetised.